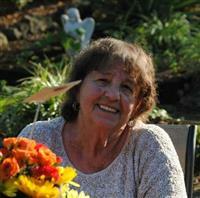 Marguerite Johnson “Tisser” Fleming, 76, of Gallatin, passed away Monday, April 28. The funeral service was Friday, May 2, at 2 p.m. from the chapel of Alexander Funeral Home with Pastor Ken Shaw officiating. Interment followed at Crestview Memory Gardens with Ryan Fleming, Dalton Fleming, Corey Fleming, Trevor Fleming, Austin Nelson, and Austin Hayes serving as pallbearers. Mrs. Fleming was born September 11, 1937, in Huntingdon, to the late Leslie Ernest and Marguerite Clark Johnson. She is also preceded in death by her husband, Bobby Eugene Fleming; a son, Bobby “Chip” Fleming; a sister, Betty Jo Richardson; and brother-in-law, Isaac Richardson. She is survived by her children, Ted R. Fleming of Hendersonville, Kelly E. Fleming (Becky) of Gallatin, Betty Kay Fleming DeBoe of Gallatin, and Mark B. Fleming (Resa) of Hendersonville; a brother, Leslie “Bud “Johnson (Bobbye) of Branson, Mo. ; grandchildren, Ryan K. Fleming, Tara R. Fleming, Robert “Dalton” Fleming, Corey B. DeBoe, Alexis D. Fleming, Trevor W. Fleming, and Dagen C. Fleming; and a great-grandchild, Brayden K. Fleming. Online condolences may be submitted at Alexanderfh.info. Alexander Funeral Home. TAYLOR, MICHIGAN: B.C. Nunnery, 75, formerly of Bruceton, died Thursday, March 8, 2012 at his home. Funeral services were Sunday, March 11, at Bruceton Funeral Home with Bro. Bret Mebane officiating. Burial followed in Shiloh Methodist Church Cemetery near Camden. Mr. Nunnery, a hi-lo driver for A&P Grocery, was born in Bruceton to the late Fred Nunnery, Sr. and Estelle Lockhart Nunnery. Survivors include: his wife of 57 years, Jean Studdard Nunnery of Taylor, Michigan; one daughter, Patricia Nunnery of Dearborn, Michigan; one sister, Bettie Nunnery of Rochester Hills, Michigan; two brothers, Charles (Linda) Nunnery of Taylor, Michigan and Fred (Ann) Nunnery, Jr. of Novi, Michigan; and two grandchildren. Funeral services for James Samuel Brinkley, 74, of Westport, were held at 2 p.m. Wednesday, Jan. 26, in the chapel of Plunk Funeral Home with Rufus Chandler officiating. Burial followed at the McCauley Cemetery. Plunk Funeral Home of Camden was in charge of the arrangements. Mr. Brinkley passed away Sunday, Jan. 23, at Camden General Hospital. He was born on Nov. 19, 1936, to the late Robert Clifford and Iva Mea Cobb Brinkley. In addition to his parents, he was preceded in death by his mother, Geneva Ann Brinkley; a son, Harlon Douglas; and a daughter, Gayron Seiber. He is survived by three daughters, Ruth Brinkley and Hilda Diane McClellan, both of Camden, and Jennifer Sellers of Counce; a sister, Louise Condray of Jackson; 12 grandchildren; and 19 greatgrandchildren.